In the spring of her senior year, foregoing high school track, Schiro won the Boston College Relays 5K in 16:00 on the track and won the 3K at Penn Relays in 9:13, which still stands as a meet record. Other than that, she didn’t race. In the fall of 1985, Schiro enrolled at Oregon on scholarship. She won her first meet, but she struggled with the transition. After years of guidance from the Dowlings, she had new coaches. After years of running mostly as an individual affiliated with a team, she was now a member of a team. Being about as far away from home as possible without a passport didn’t help. “It’s been a really bad season. I felt dead tired here. I guess it’s taken time to adjust. But today was like, ‘I can’t wait until tomorrow so I can start training all over again,’” Schiro told a reporter after NCAAs. Schiro felt lost at college. She came home at Christmas and withdrew from Oregon. She knew that some people must have looked at her as though she were a failure. At times she might have viewed herself that way. When runners go out fast, they usually pay for it eventually. At this point, Schiro’s path could have taken a turn that is familiar to those who have observed child stars in sports who fly close to the sun: burn out, quit the sport, retreat into obscurity. Which makes Schiro’s eventual recovery that much more impressive. Schiro retreated to the seacoast to collect herself. Still 18 years old, she got an apartment and took some classes at UNH. She moved to Boston, where two of her sisters lived, and started talking with Bruce Lehane, the coach at Boston University, after seeing him on a run along the Charles. For the better part of two years, she basically stopped competing. In the winter of 1986-87, a year and a half after she graduated from Dover and still adrift, she went about as far away from home as she could. She went to New Zealand for the winter. She kept running. And she met a guy there, a runner from Long Island named Mike O’Brien (Chaminade HS). Returning from New Zealand in the spring of 1987, after two years of floundering, Schiro was getting things back on track. She won the Boston College Relays 5K in 16:13, not quite as fast as she’d won it two years earlier as a high schooler but still a national-class time. She signed a contract with New Balance, going pro. That fall, she DNF’d in the New York Marathon. Needing a qualifier for the Trials, she turned around and entered the Cape Cod Marathon held two weeks later. She won in 2:37. Cathy was back. Two months later, Cathy Schiro O’Brien toed the line at the Olympic Trials marathon in Pittsburgh. Now 20, she wasn’t the upstart kid who ran the race four years earlier. Nor was she one of the favorites. She placed third in 2:30:18. People had been talking about her going to the Olympics since she was 13. Now she really would be called an Olympian. At the Games in Seoul, Schiro-O’Brien placed a respectable 40th. 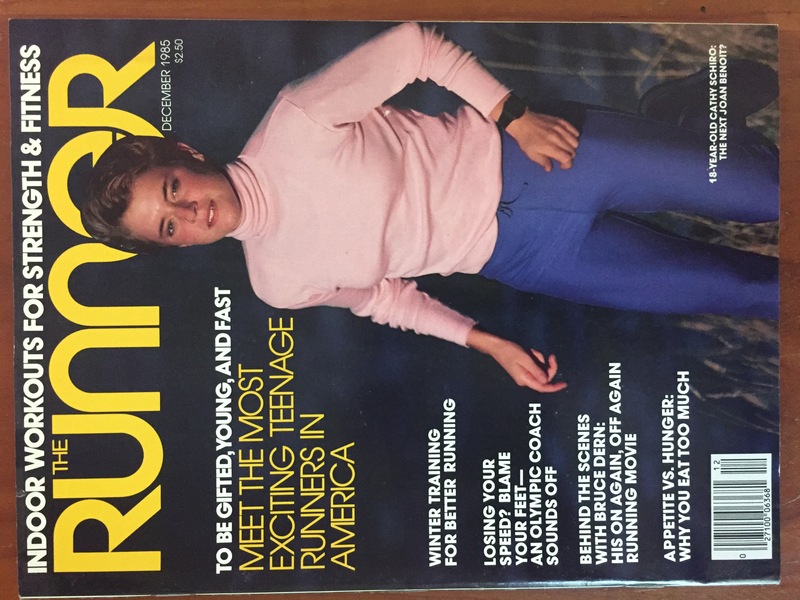 During her years as a professional runner, O’Brien ran major road races around the country and overseas. 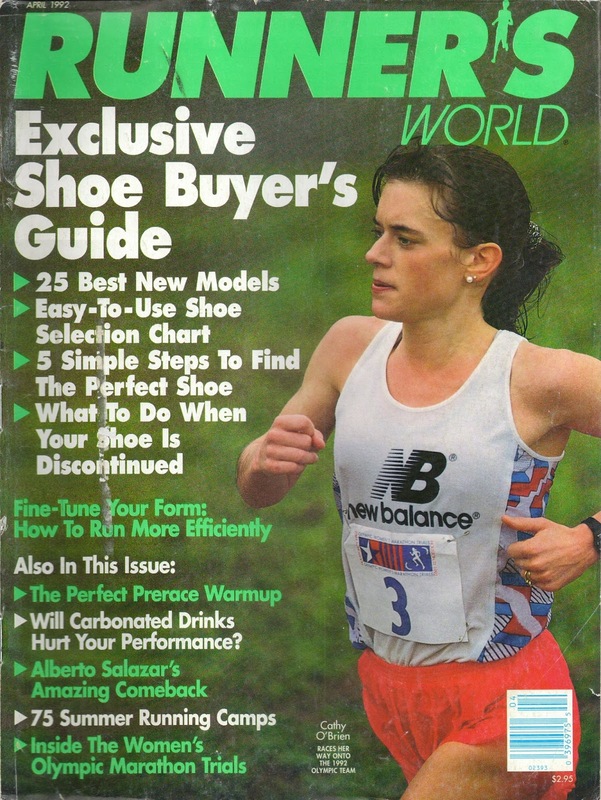 In 1989, O’Brien set a world record for 10 miles in 51:47. She won the 1991 Los Angeles Marathon in a PR 2:29:30. 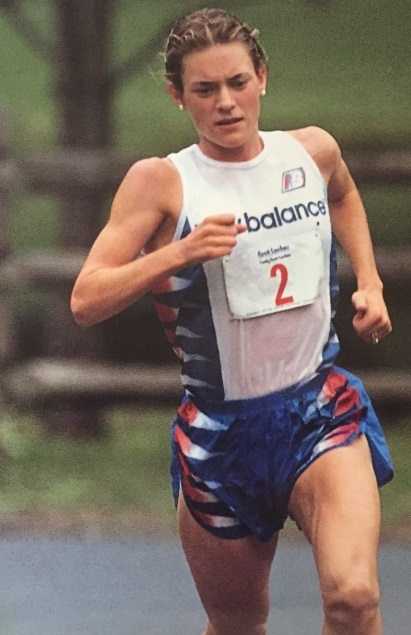 At the 1992 Olympic Trials Marathon in Houston, O’Brien was one of the favorites. At 15 miles, one of the other top runners competing with O’Brien for a spot on the team, Janice Klecker, fell at a water stop. O’Brien stopped, went back, helped Klecker to her feet, and the two women rejoined the race. Klecker ended up winning the trials, with O’Brien placing second in 2:30:26. She was now a two-time Olympian. In Barcelona, O’Brien placed 10th overall and was the top American. O’Brien qualified for the 1996 Trials in two events, the marathon and the 10,000. She chose to focus on the 10,000. She placed 9th in the trials in Atlanta, and did not make the team that year. She said that with the benefit of partial hindsight. As she graduated from Dover High in 1985, she didn’t have that perspective yet. Today, she has much more. In a recent interview, O’Brien expressed no regrets and had nothing but praise for her high school coaching. Tom and Marcia Dowling were her day-to-day coaches for eighth grade and her first two years of high school. At that time, Tom took a job in Kansas City and they moved. 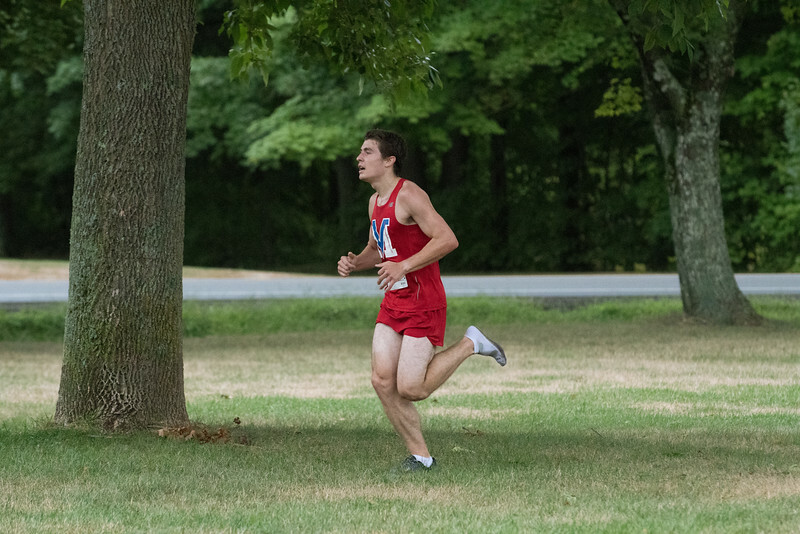 Joe Scascitelli (who today coaches at Exeter High, which always has some of the state’s top runners) took over as the head coach for the Dover High teams. The Dowlings continued to guide Schiro-O’Brien’s training as private coaches. “My coaches were brave and courageous in terms of how they approached my career. They took risks. I knew I was doing something special, but I felt protected. I felt very cared for by the coaches,” she says now. She wasn’t pushed too hard. She didn’t over-race. She had the ability, the God-given talent, and she wanted to see how far and how fast she could go. 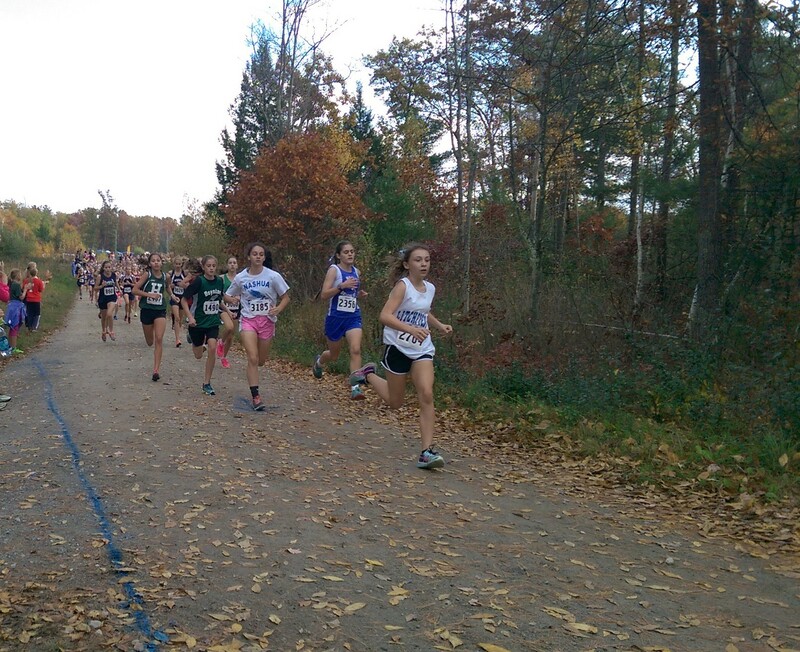 Part of why she went through that rough period had to do with the difficult choice of whether she should pursue a conventional college running career or go pro right away. In hindsight, it’s easy to diagnose the situation: She made the Olympic team at age 20. Ergo, college running was a waste of her time. But in 1985, sponsorships were even more rare than they are today, especially for women. The safe route was to take the scholarship. There weren’t a lot of alternative case studies for Schiro to consider. Today she looks back and observes that top athletes in any sport have a limited number of years to be at their best. For her, there was an opportunity cost to running in college. Doing so could have cost her the chance to make the Olympic team when she was 20. Thirty five years after her high school triumphs, Schiro-O’Brien can still be found at high school cross country meets most Saturdays in the fall, including those held on the same hills at Derryfield Park where she used to race. Now, she’s on the sidelines, cheering for her sons. Patrick, a senior at Oyster River, is one of the state’s top distance runners. Andy, an eighth grader, has done well on the middle school team. Patrick runs some of the same loops she used to run when she was his age. She chipped away at her getting her degree during her years as a professional runner, eventually graduating from UNH when Patrick was one year old. Before running took over, she had been an accomplished violinist who played in youth orchestras. As an adult she picked the violin back up and today instructs at Berwick Academy and gives private lessons. She also plays gigs with a three-woman band called Bliss. For the most part, she blends in with the other moms cheering their kids at meets. Occasionally she shows flashes of the competitive drive that propelled her to the Olympics, along with the self-discipline to keep it to herself. She lets the kids run, and the coaches coach. And most days, she goes out for a run. Again, awesome read. 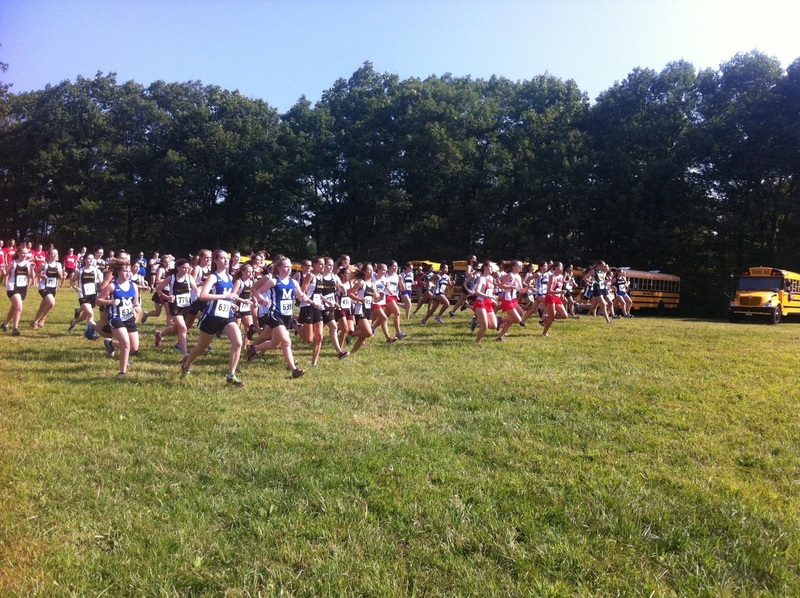 I remember the most of part 1 being a HS cross runner at the time. So it great to read about what came after. Great story. I ran on the Dover High School boys team when Cathy was dominating the field. She was amazing to watch and I was able to train with her and the Dowlings. They were incredible coaches and I still hold those times in high regard. This was a great piece about a remarkable athelete and person. If my memory recalls she was also a violin prodigy before track. Tom became my post college coach. I have some documents no one else might still have including his letter to Cathy in the 80’s about training. I also met met Chris Pfitzinger back in my racing days. I took Tom with me to the US Men’s Marathon Championship in 95. It was neat watching him hob knob with some of the athletes and coaches. Previous post Runner’s Alley Team Nights Video and Interviews!